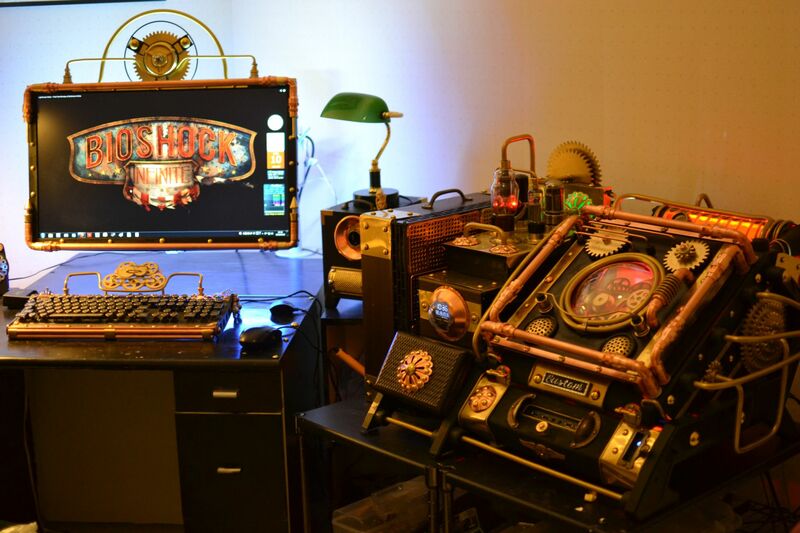 The steampunk genre sits somewhere between science fiction and fantasy, and for a global army of fans, few things are more attractive than gadgets dressed in steampunk attire. A quick Google search gives you an idea of the huge array of hardware that has undergone intricate modding in order to achieve the desired look, but some of the most eye-catching efforts are hugely expensive propositions. 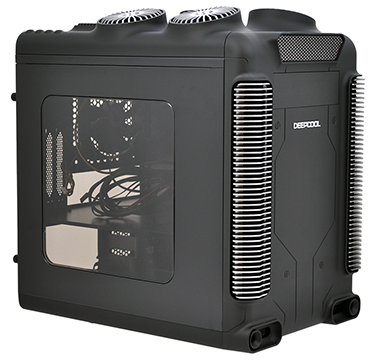 Here's where Deepcool comes into the equation. 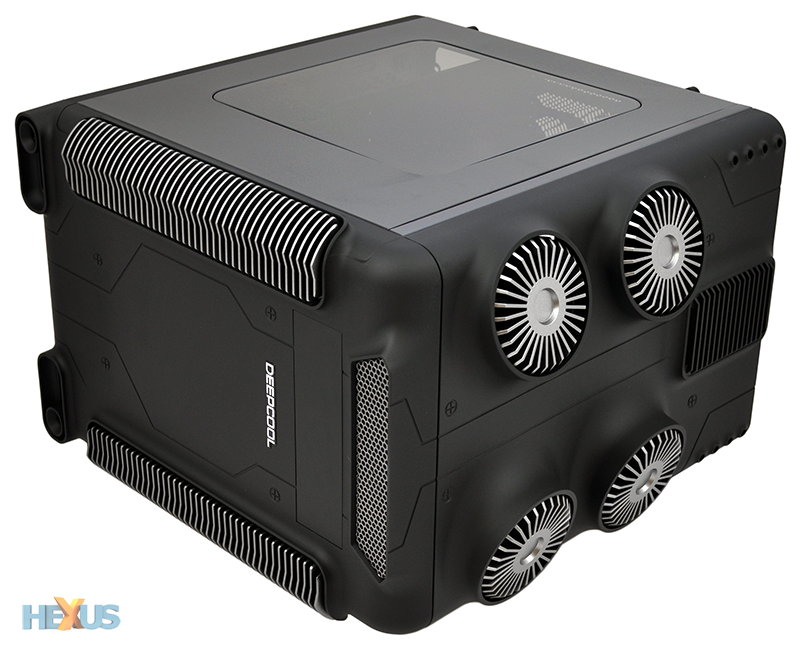 The Chinese manufacturer has already shown a knack for producing cheap-but-satisfying PC hardware - the GamerStorm Lucifer CPU cooler being a prime example - and is hoping to follow suit with a steampunk-inspired chassis dubbed the Steam Castle. 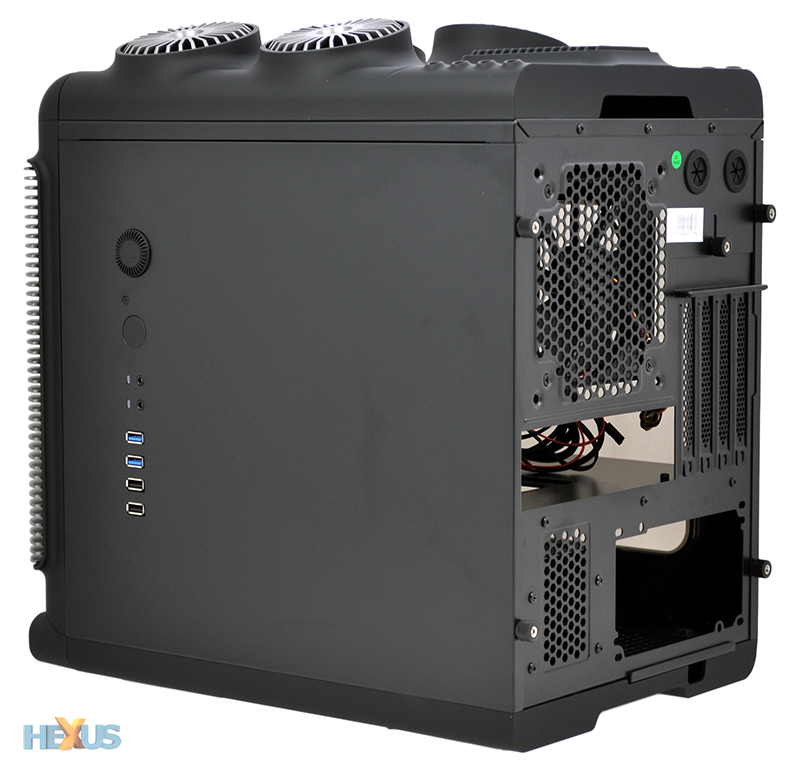 Priced at £69.99 and available in black, white, yellow or red colour schemes, the Steam Castle is described as a "perfect fusion of industrial revolution and modern technology." 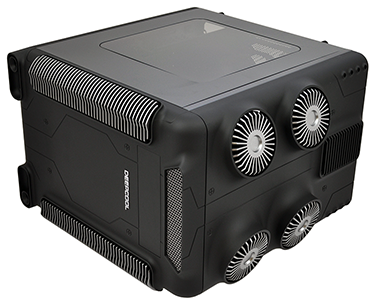 We get the idea, and we like the fact that Deepcool has attempted to tackle the hard-to-define steampunk genre, but it's fair to assume that not everyone will be won over. For some, Steam Castle just won't be steampunk'd enough, and for die-hard fans, this probably won't be considered steampunk at all. Still, there's something about the case that's quite attractive in person. 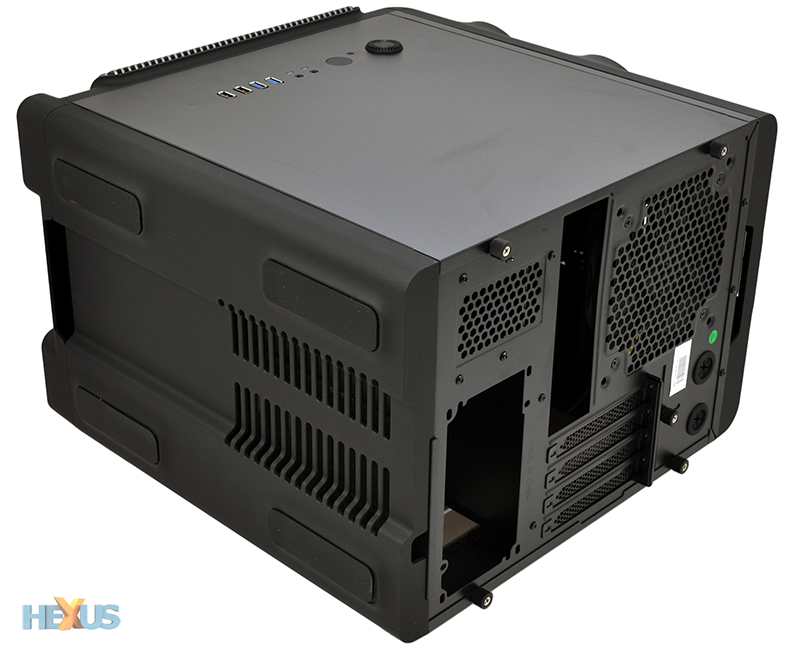 The cube-like form factor isn't too big - the chassis measures 406mm (L) x 278mm (W) x 420mm (H) in size - and though we hardly consider ourselves knowledgeable in all things steampunk, the Steam Castle certainly has a retro-industrial sort of look. Aesthetically speaking, this is very much a love-it or hate-it design, but if you find yourself falling into the former category, there's a fair amount of potential in what's undoubtedly an eye-catching case. First and foremost, build quality is surprisingly good throughout. The central steel structure is suitably solid with little sign of flex and though the top, front and bottom panels are primarily plastic, they're coated in a soft-touch rubber texture that gives a higher-quality look and feel. 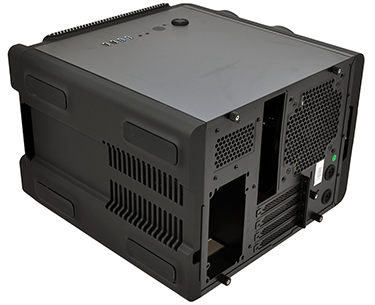 The case sits low to the ground on four slim rubber feet and there's a slim, pull-out dust filter just beneath the PSU bay. This, however, is the only such filter throughout the case, so dust buildup may be a long-term issue. A good-sized, tinted and flush window adorns the left side panel, while over on the right we have a well-stocked I/O panel. It includes four USB ports (two of the SuperSpeed 3.0 variety), as well as headset and microphone jacks, power and reset buttons, and a small dial that's used to control both fan speed and LED lighting.